Loyal readers or those that use the wayback machine and like reading CMH Gourmand archives may recall my pepperoni roll research a few years ago. The pepperoni roll’s roots harken back to the early 20th century when coal miners and factory workers dragged back and forth from back braking labor and soul crushing hours on the job. With little time, energy, or money for a meal, they needed something they could eat with their hands while standing or on the go. 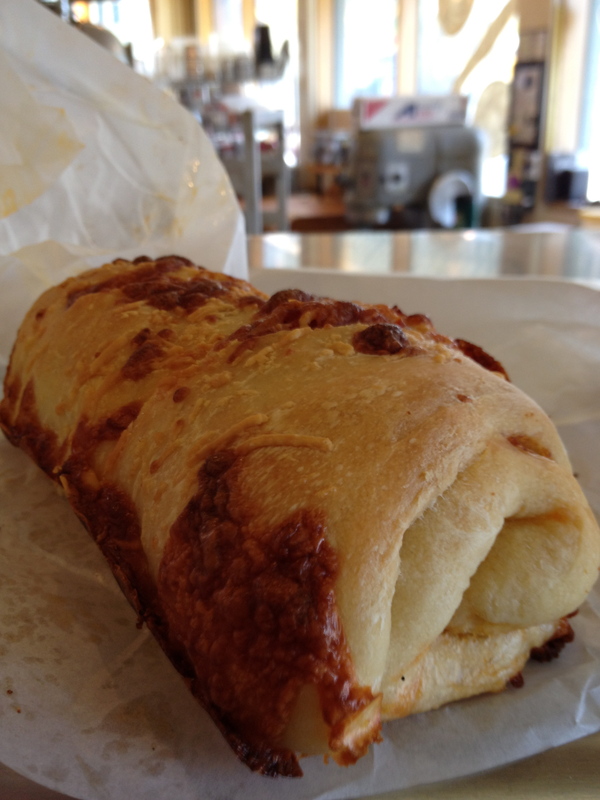 The pepperoni roll became the answer for many of these folks seeking a cheap and filling meal. The Pepperoni Roll is ubiquitous to West Virginia and can be found throughout the state in restaurants, diners, family kitchens and gas stations – made by hand or made en mass. I came to appreciate this bit of culinary history but rarely find them on this side of the Ohio River. 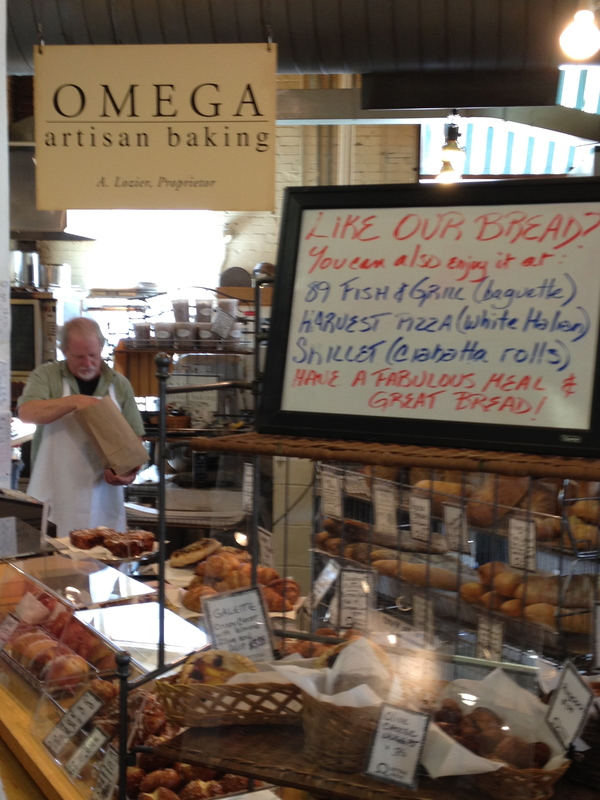 Oddly enough, the best pepperoni roll in all my travels resides here in my home town at The North Market. 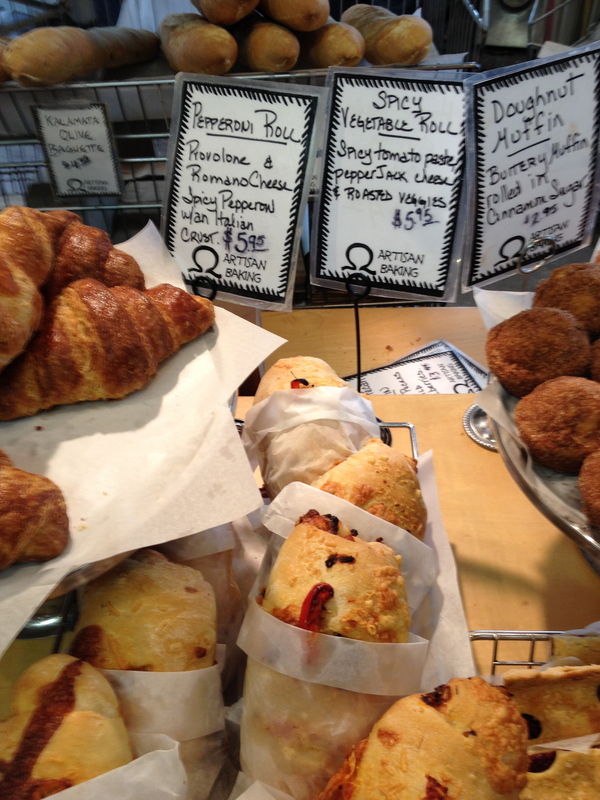 Omega Artisan Bakery takes this staple of the common man to such great heights. The ingredients of a pepperoni roll are as basic as can be – bread, pepperoni and cheese. The key to any good sandwich (or sandwich like product in this case) is good bread. In the case of Omega good bread is the baseline so part one is easily accomplished. Next, the balance of pepperoni and cheese is critical. I have encountered many ratios of these three ingredients but Omega seems to have found the magic mix of about 34%-33%-33% (my favorite measurements for many things, I guess). Since I discovered the Pepperoni Roll at Omega I can not think of a time I have been at the North Market and not bought one as my lunch for the day or as a meal for later. Each bite offers a mouthful of fresh, chewy roll, slightly greasy pepperoni and hardened, crusty, chewy and crispy cheese. No sauce is needed just three simple ingredients combined for a happy meal that needs no prize at the end. This entry was posted on November 4, 2012 at 8:46 PM	and is filed under cheese, markets, sandwiches. You can follow any responses to this entry through the RSS 2.0 feed. You can leave a response, or trackback from your own site. As good as the pepperoni role is, the spicy veggie roll is way better.